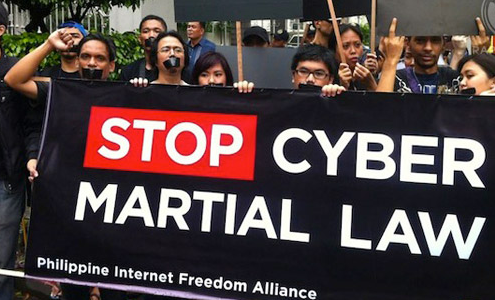 Following the Supreme Court (SC) ruling on online libel and the outcries from concerned netizens, local Senators have voiced out their own opinions and filed bills to decriminalize libel and repeal the online libel clause in the Cybercrime Prevention Act of 2012. She also called the ruling on the online libel provision “erroneous”, stating that it violated two principles of constitutional law against vagueness and overbreadth. Senator Ferdinand “Bongbong” Marcos Jr. also filed a bill to lower the penalties for online libel. “The Internet, particularly social media, is the closest thing we have to [the] Athenian brand of democracy, where everyone can speak his mind freely. I think the Senate should give a high priority to bills seeking to protect freedom of expression in cyberspace,” he said. The SC’s ruling has renewed the call to abolish prison time for those found guilty of libel. Article 355 of the Revised Penal Code penalizes those found guilty of libel with 6 months to 4 years imprisonment, or a fine (from 200 to 6,000 pesos). Senator Juan Edgardo Angara, who initially filed the bill to decriminalize libel during his term in the Lower House, has taken up his cause once more. 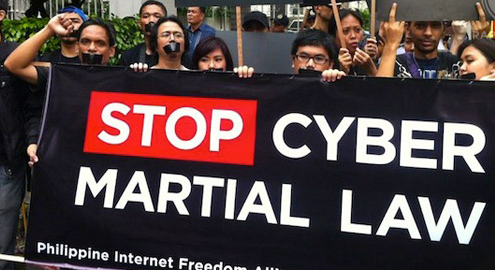 “I have been pushing for lighter penalties for libel even before the passage of the Cybercrime Law. 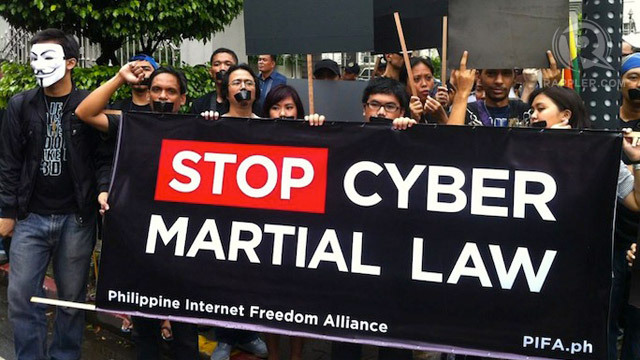 … Though I agree that libel committed online should be penalized, as provided in the Cybercrime Law and as ruled by the Supreme Court, I don’t think these offenders should be imprisoned,” he said. Senators Teofisto Guingona III and Chiz Escudero filed similar bills to decriminalize libel. “We must not forget how hard we fought for the democracy that we now enjoy, and that includes our freedom to speak against erring public officials. It is counter intuitive therefore for us to have come this far and yet have the cloud of possible imprisonment impinge on the liberties that the very democracy we have fought for seeks to protect,” Guingona said.